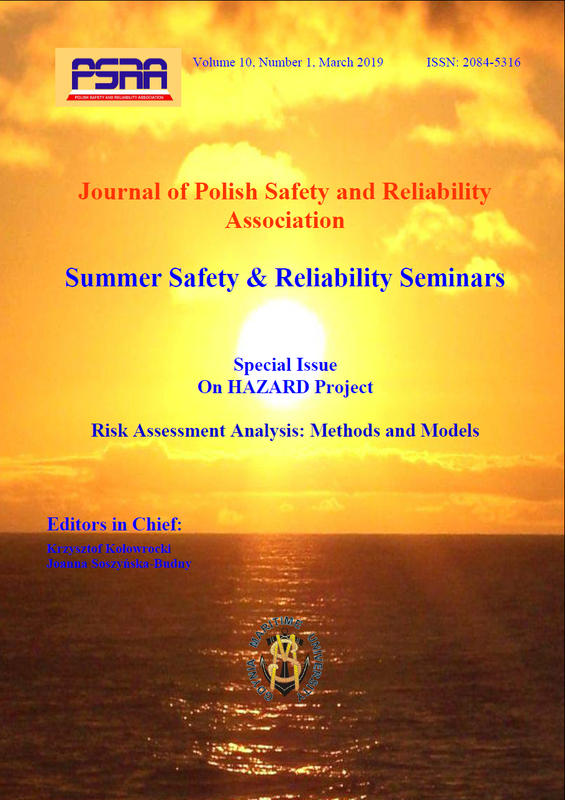 The Journal of Polish Safety and Reliability Association: Summer Safety and Reliability Seminars publishes original papers written in English in its Volumes including two issues (Numbers 1-2) per year. The author should provide his ORCID number (Open Researcher and Contributor ID) in his paper (if it exists). The acceptance of papers for publication is based on 2-3 independent reviews done by the members of JPSRA Editorial Board. After receiving positive reviews and after acceptance of the paper for publication, the text must be submitted in a Microsoft Word document format. The authors of the proposed papers for publication in JPSRA that do not attend SSARS Seminar are obliged to pay the Publication Fee for one paper of 200 Euro. The yearly Subscription Fee of the Journal of Polish Safety and Reliability Association: Summer Safety and Reliability Seminars including two issues is 200 Euro and includes delivery costs. The subscription orders should be sent electronically to the Editor’s e-mail address: ssars@am.gdynia.pl to receive the invoice form.